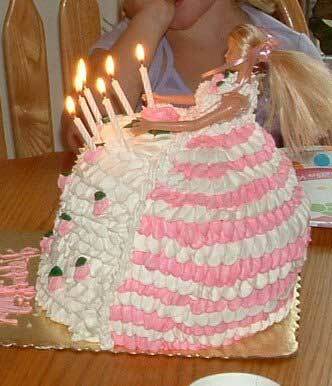 Or fun themes gone terribly awry. 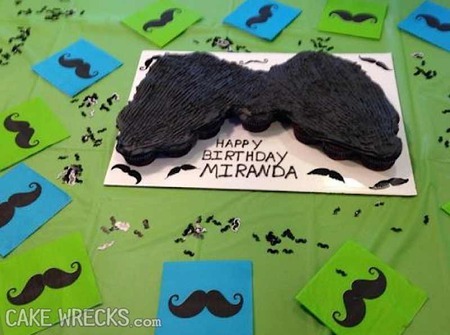 Just ask Jen Yates, the brains behind CakeWrecks.com (and the hilarious books spawned from the blog). 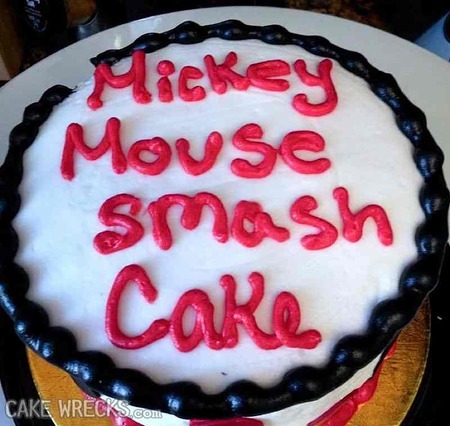 She sees about 50 cakes-gone-wrong every week. 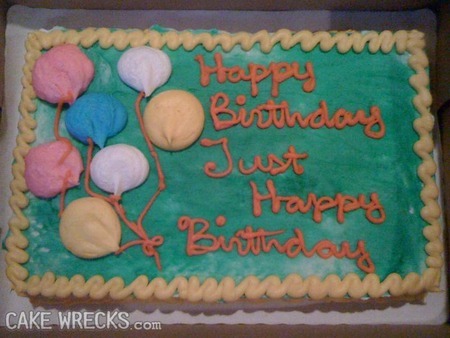 Yates says mistakes happen all the time, but some cakes are more prone to all-out wreckage. 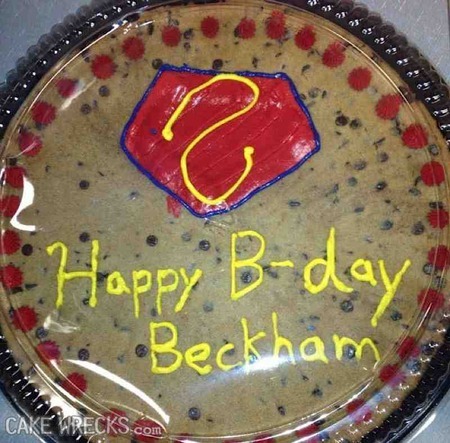 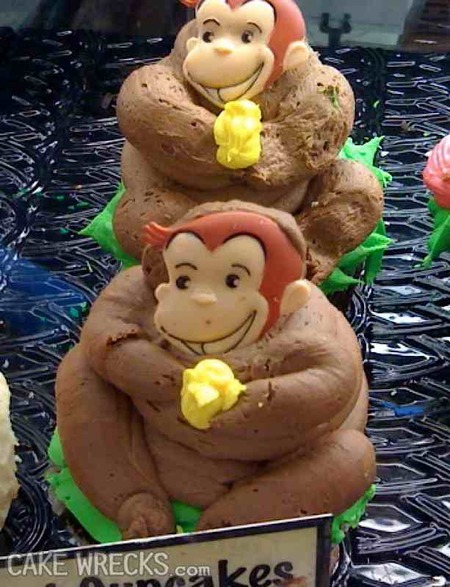 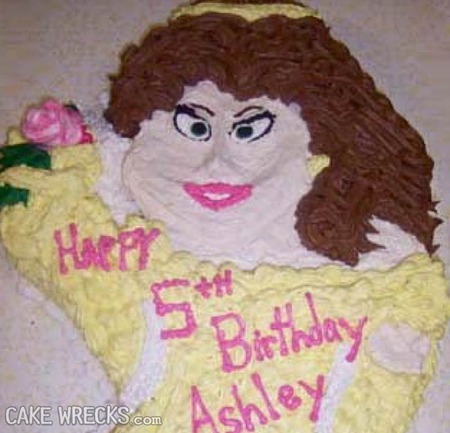 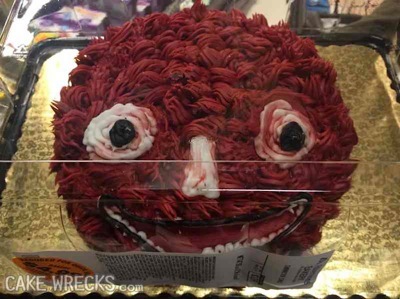 Cakewrecks.com sees a ton of hilariously bad cakes. 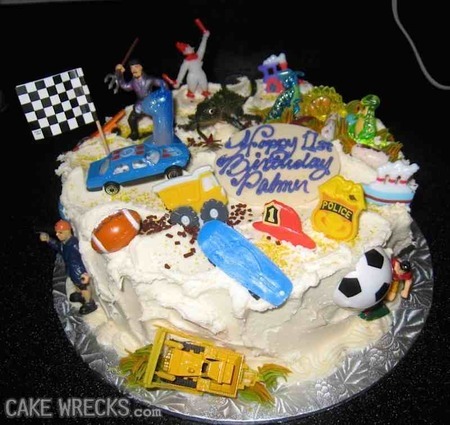 The more popular the theme, the more wrecks that get submitted to the site. 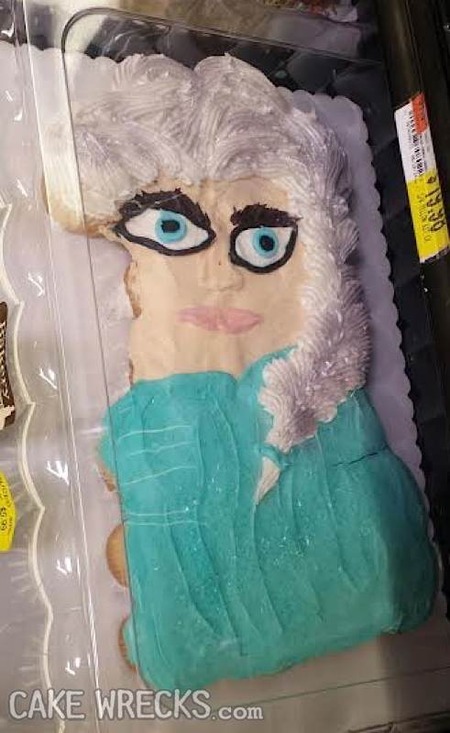 Right now, lots of terrifying Elsa’s are coming across Yates’ inbox. 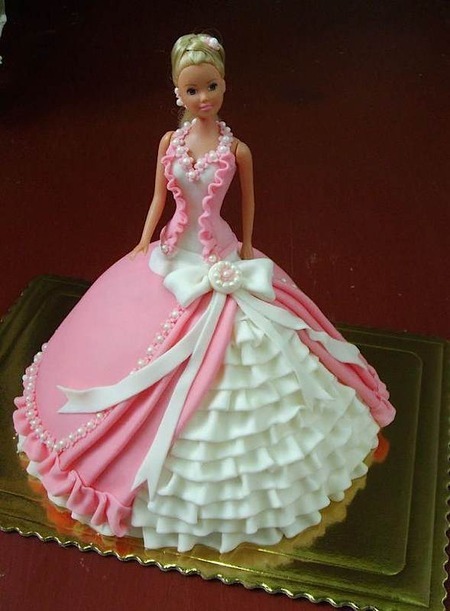 Unless you have a skilled baker on stand-by, fixing the problem is tricky, but possible possible. 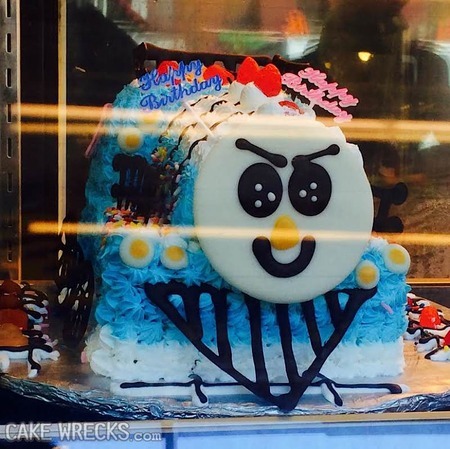 All images were were lovingly sourced from CakeWrecks.com with permission.